A few months ago, SatoshiPay launched their first public BETA by releasing a WordPress plugin and got some great feedback from around the globe, and are now making their technology available to every website, no matter what back-end it runs on. Meinhard Benn, founder of SatoshiPay recently posted at Medium. We are doing this by opening up our API to third parties (see press release). Read about how our system works and how it can be integrated in the API documentation. Using our API, developers of content management systems can write their own plugins and publishers can integrate nanopayments into their own bespoke back-end. With a bit of playing around, HTML coding folks can even sell content on static websites. SatoshiPay’s technology enables content publishers to facilitate nanopayments, generating new revenue streams by allowing monetisation on a nano-scale. The API enables the company to support any digital implementation, a significant improvement over its previous release, which only supported WordPress websites, this means SatoshiPay can now be used on 100% of the web, whereas it only supported 26% previously. The API will enable developers to utilise SatoshiPay’s technology in any digital or internet connected product. “We have been delighted by the response we’ve received from the developer community and we’re excited to announce the API. Our mission is to enable developers to use SatoshiPay for any kind of digital product or service they want to implement nanopayments into. We believe this will enable us to significantly scale our reach as developers can use our system in any way they can dream. We will continue to add features frequently to support our growing ecosystem of developers and partners”. With the introduction of their API, SatoshiPay positions itself as a payment infrastructure provider; enabling apps and services to be built on top of their platform. The API makes SatoshiPay’s technology accessible to the millions of developers who build apps and software, as well as enterprises looking for a more flexible means to implement bitcoin technology into their current frameworks. “Developer and enterprise interest in SatoshiPay has been tremendous and this is the next step in our evolution” said Benn. SatoshiPay will build exposure of its API through partnerships, conferences, developer networks and hackathons. SatoshiPay is headquartered in London with development lead through its office in Berlin. Angel funding for SatoshiPay Ltd was supplied by Axel Springer Plug & Play and Henning Peters, seed funding was raised through publicly listed companies Coinsilium Group (ISDX:COIN) and FastForward Innovations (LON:FFWD). 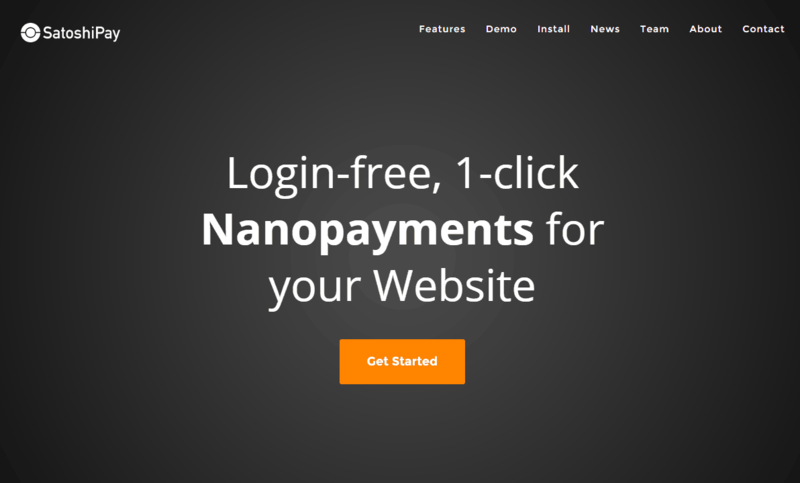 Development of SatoshiPay’s nanopayment product started in April 2015 and its beta version was released in February 2016.